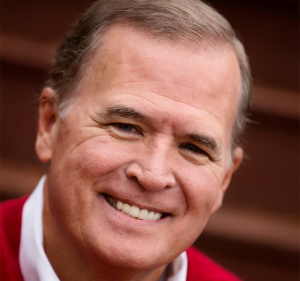 Dr. Dean Register is a passionate and relevant communicator of the Gospel and is a frequent speaker at conventions and conferences and evangelical events. He is the founding pastor of the wide-awake Crosspoint Church in Hattiesburg, MS. He earned four degrees including a Doctor of Theology degree from New Orleans Baptist Theological Seminary. He was twice elected as the president of the Mississippi Baptist Convention. Dr. Register contributed many devotional/study notes for Quest Study Bible and authored Romans: God’s Amazing Grace for Lifeway Publications. He has also been quoted in Reader’s Digest for his statement about “Prayer.” Calvin Miller, best-selling author of over 40 books wrote, “It was watching him (Dean Register) love God that often rebuked my casual spirituality and taught me the fire I left lying beneath the ashes of my devotion.” Calvin Miller, Life is Mostly Edges, (Nashville, Thomas Nelson) p. 353-354. Pastor Dean and his wife Sharon have been keynote leaders at several marriage conferences including Lifeway’s nationwide “Festivals of Marriage”. 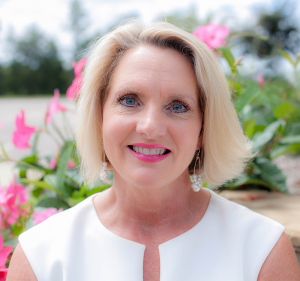 Sharon is a graduate of William Carey University and has served the South Mississippi area as a highly acclaimed realtor. Together they enjoy mentoring young married couples and helping build stronger families. They are also doting grandparents to seven active grandkids. Pastor Dean is a die-hard Atlanta Braves fan and he refers to himself as a migrant Southerner. He was born in Florida, grew up in Georgia and now calls Mississippi home. Robyn Smith is a lovely gift of God to the Crosspoint Fellowship. She exudes joy, personifies friendliness and excels in communication 24/7. Robyn is married to Terry Smith, Operations Manager at Balfour Beatty Rail. When Robyn and Terry lived in Brookhaven, MS she was the administrative assistant to Mayor W. W. Godbold, Jr for eight years. Shortly after moving to Hattiesburg 25 years ago she became executive assistant to Dr. Register and his ministry. The Crosspoint fellowship fully agrees that keeping a Mayor organized and “on task” was great preparation for her responsibility in a busy pastor’s life and ministry. Terry and Robyn love spending time with their four grandchildren. 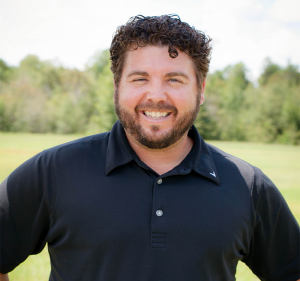 Wes Register is the Associate Pastor and Teaching Pastor. He serves as “Point Man” for several strategic ministries. He teaches, preaches, oversees administrative matters, counsels married couples and leads Crosspoint’s college ministry known as “The Point” which reaches students at William Carey University and the University of Southern Miss. In addition, he writes engaging biblical devotionals and co-authored the book Passion and Prayer. He is a skilled apologist for biblical truth. He holds a B. A. and an M.B.A. from William Carey University and a M.Div. (Master of Divinity) from New Orleans Baptist Theological Seminary. Wes is married to Nicole Register and they love raising their son, Walker Dean. Nicole holds a B.A. and an M.A. Degree in Speech Language Pathology and was selected as Miss University at the University of Southern Mississippi by faculty and students her senior year. Together they are passionately committed to the call that God has given them. They make a compelling impact in the Hattiesburg area for the glory of Christ. 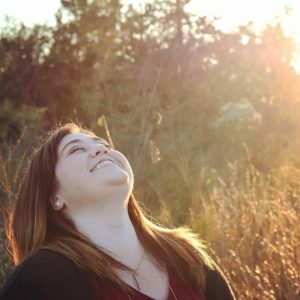 Julia Sippel serves as our Children’s Ministry Director. She is a graduate of the University of Southern Mississippi and is married to Luke Sippel, co-founder of Lake and Land Design Company featured on the HGTV series “Small Town” and in Southern Living magazine. They are loving parents to their daughter Bailey. Additionally, Julia effectively directs our Crosspoint Learning Center, a ministry for children 6 weeks to 4 K from 6:00 am to 6:00 p.m. Monday through Friday. Julia radiates God’s love and seeks to equip our children to grow in God’s grace. Calenshea Gordon is the Assistant Director over daily operations for the Crosspoint Learning Center. She holds a B.A. Degree in Early Childhood Administration from Ashford University. She is the personification of poise and excellence as she handles scores of details and data for the CLC. Jill Gunn is a retired public school teacher and serves as our receptionist and ministry assistant. Her cheerful disposition engages everyone who enters the office area and easily makes them feel at home. Jill has two daughters and is the proud grandmother to her grandson, Gunner. Joseph and Regan Linton are a dynamic couple who deeply love one another, passionately follow Jesus, and strategically minister to CrossPoint students. Joseph is a graduate of MS State University with a B.S and M.S in Agricultural Economics and currently works as a Senior Credit Analyst for Southern Ag Credit. Regan is a graduate of the University of Southern Mississippi with a B.S and M.S in Marriage and Family Therapy. She is a licensed marriage and family therapist and works as a grant coordinator and adjunct instructor for the School of Child and Family Sciences as the University of Southern Mississippi. Joseph and Regan are in the process of adopting a little girl from India whose name will be Gracyn. They enjoy anything related to CrossPoint, camping, canoeing and hanging out at the beach. 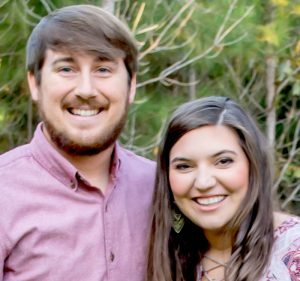 Joseph and Regan are a voice of grace and wisdom to students in the Pine Belt area and love to apply God’s word in helping them navigate through school, home and various relationships. Their prayer is that God will be glorified as they inspire students to know Jesus, love Jesus and share their faith in Jesus with others. Chelsey Everett is our outstanding Website and Social Media Director. She holds a B. A. Degree in Public Relations and Marketing and a M. S. Degree in Economic Development, both from the University of Southern Mississippi. The Crosspoint family feels blessed to have Chelsey’s skill set since her primary job is Research Director in the Economic Devolopment Division of the Area Development Partnership (ADP) for the Pine Belt Region.